In this book, Chris Carter shows that evidence of life beyond death exists and has been around for millennia, predating any organized religion. Focusing on three key phenomena — reincarnation, apparitions, and communications from the dead — Carter reveals 125 years of documented scientific studies by independent researchers and the British and American Societies for Psychical Research that rule out hoaxes, fraud, and hallucinations and prove these afterlife phenomena are real. The author examines historic and modern accounts of detailed past-life memories, visits from the deceased, and communications with the dead via medium and automatic writing as well as the scientific methods used to confirm these experiences. He explains how these findings on the afterlife have been ignored and denied because they are incompatible with the prevailing doctrine of materialism. 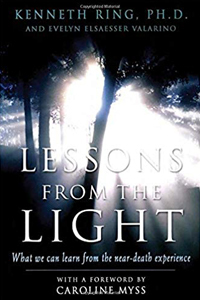 Sharing messages from the dead themselves describing the afterlife, Carter reveals how consciousness exists outside the parameters of biological evolution and emerges through the medium of the brain to use the physical world as a springboard for growth. After death, souls can advance to higher planes of consciousness or manifest once again on Earth. Carter’s rigorous argument proves — beyond any reasonable doubt — not only that consciousness survives death and continues in the afterlife, but that it precedes birth as well. Just how strong is the case for the survival of consciousness beyond death? You may never get a better answer to that question than in the pages of Chris Carter’s Science and the Afterlife Experience, the concluding volume of his masterful trilogy on science and the paranormal. The first two books — Science and Psychic Phenomena and Science and the Near-Death Experience — had been important books for me, so I eagerly awaited this third book. The book is organized around three major lines of evidence: the apparent past-life memories of children, apparitions, and purported messages from the dead through mediums. With each of these three lines, Carter first presents a series of well-researched and well-documented cases. These cases are an education in themselves. They are so impressive that I found many of them stretching my view of what is possible. An apparition that was seen by forty witnesses at once, who spoke to them, and “tarried with them till after daylight” (p. 102)? I would have naturally assumed that stories like that were fish tales that had grown in the telling, were they not backed up by witness affidavits and thoroughly investigated by respected (and often skeptical) researchers. With each line of evidence, Carter then explores a variety of naturalistic explanations, such as chance, fraud, faulty memory, flawed eyewitness testimony, and cultural fantasy. It is a strength of the book that he dispatches these relatively quickly, for he demonstrates that they refuse to seriously engage the evidence, in the dogmatic assumption that such things simply cannot be. By far, most of Carter’s attention goes to non-naturalistic explanations, involving ESP or what he calls super-ESP (usually called super-psi). In this view, the children who are supposedly remembering past lives, the people who are seeing apparitions, and the mediums who are supposedly channeling the dead are all accessing their information not from the deceased, but through a kind of high-octane ESP, one that exceeds in volume, speed, and accuracy anything normally seen with ESP. It tells you something about the strength of the evidence that the only way to deny survival is to invent an unlimited paranormal faculty. And we may be tempted to give this explanation a pass, since it already generously acknowledges the reality of the paranormal. Yet this is where Carter aims his biggest guns. With each of his three lines of evidence, he shows that the super-ESP explanation is implausibly contrived and contorted, an intellectual Hydra that grows ever-new auxiliary assumptions in response to each challenge from the evidence. For instance, in the case of mediumship, super-ESP supposedly allows the medium not only to bring through voluminous accurate details about the dead, but also perform convincing impressions of them, demonstrate their hard-won skills, and actually speak in their foreign tongues. As if this wasn’t enough, it even enables mediums on different continents (in the famed cross correspondences) to subconsciously collude in elaborate telepathic conspiracies! Step by step, Carter leads us relentlessly to his conclusion that super-ESP is “an unbridled fantasy” that “shamelessly cloaks itself with elaborate ad hoc, untestable, auxiliary hypotheses whose only purpose is to render the nonsurvival theory immune from being proven false by the overwhelming evidence against it” (p. 271). As a result, he concludes that there is literally no credible rival to the hypothesis that we survive the death of our bodies. For me, the power of the book lies in the quality of the argumentation. I believe it is exceedingly difficult to objectively assess the evidence for survival in our present age. Art critic Sister Wendy has said that it is impossible for us to evaluate the art of our own time; we are too embedded in our time to view it from outside. In the same way, our educated classes are too infected with the prevailing philosophy of materialism to truly stand apart from it. Thus, even gifted minds who devote their lives to advancing our knowledge of the paranormal often seem infected with the virus to one degree or another.